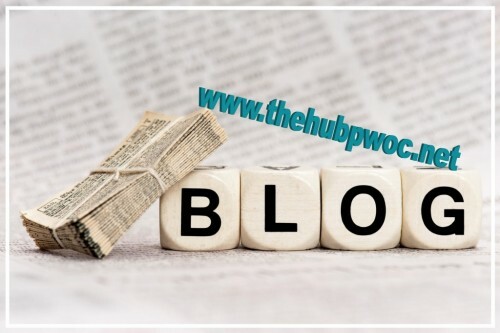 Home/Blog, Vision Articulation at the Hub 2019/Where To Begin? I ask because those are the two main concerns of Scripture that must determine our local PWOCs’ visions, Scripture verses, themes, graphics, tag lines, etc. How we can be sure of that? Good question. When asked to choose the greatest Commandment, Jesus summed up all of them as love for God and love toward our neighbor. (see Matthew 22:36-40 and Deuteronomy 6:5) Look closely at Exodus 20 and Deuteronomy 5. In those Ten Commandments, God was instructing His children as children, giving specific negatives to teach bigger positives. “Don’t stick things in electrical sockets! Don’t hit your sister! Don’t leave your toys in the middle of the floor!” In other words, “I want you to be safe. I want you to have good relationships. I want your things to last for you.” Look at the Commandments again, and notice that the Lord starts by emphasizing reasons to trust Him. Then the ways to obey Him with flow from that trust. God created us to love Him by walking with Him filled with inner joy, peace, purpose, etc. So, He gave specific reasons we must fully trust in Him alone. God also created us to love Him by walking with His people in societies that value life, family, personal property, etc. So He gave specific ways we must obey Him. In this post, we’re seeking to identify the greater problem at your installation: why to trust or how to obey. In the next post we’ll begin talking about how to seek solutions through a vision for your local installation. A vision focuses us on a more specific aspect of ministry because the other important parts are already being addressed in godly ways. But before we propose biblical answers, we need to be sure we’ve identified a biblical problem. Business visions see the problem and solution as money. Vision for sports teams seek to win. Even visions for non-Christian charities seek to make this world a more comfortable place to live. But our local visions must be for ladies to trust and obey Jesus. So, let’s answer the first question I posed at the top. Yes, all of us struggle with both, but we have some different struggles than farming communities or university dormitories or inner-cities or retirement homes. There are specific dynamics of your local military installation that present unique struggles that are different from many other installations. Struggles with trust can be intensified by the types of mission/work your husbands do, the abundance (or lack) of external support for your base/post receives, the size of your base/post and the resulting intimacy there (or lack thereof), how leaders respond when people fail, etc. All these have ripple effects into the family. Struggles with obedience can be intensified by many of those same dynamics but also the realistic direction (or lack thereof) from leaders, resources (or lack thereof) to follow through with obedience, clear opportunities to exercise obedience, like-minded believers to equip and encourage obedience, etc. All of these directly impact the family, too. In which area are they struggling most, why to trust Jesus or how to obey Jesus, especially as it relates to living in your military community? And what do you see among your ladies that informs your answer?